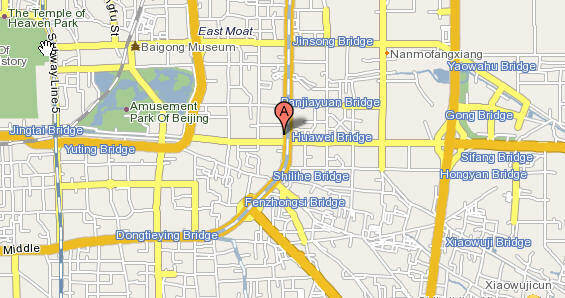 In Beijing, the cultural center of China, the most popular place for you to go and see is the Antique Market. 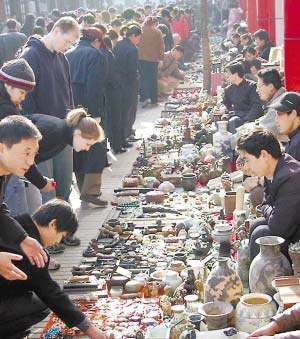 A visit to the Antique Market is as important a part of a foreigner’s tour in Beijing as the Great Wall, the Peking duck and the Forbidden City. 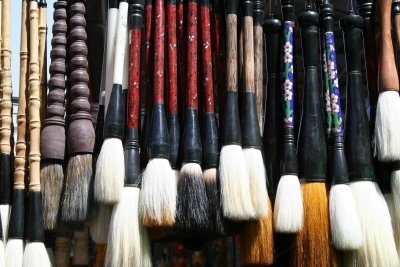 Panjiayuan Antique Market is Beijing’s biggest and best-known arts, crafts, and antiques market. The Liulichang is a famous district in down-town Beijing that is known for a series of traditional Chinese stone dwellings housing that sells various craftwork, artistry, and antiques. The street is a mixture of state-run and privately owned shops. Customers are recommended by shop owners to bargain before making purchases. There are also traditional teahouses and wineshops, as well as many restaurants. According to local legend, during then Ming and Qing dynasties, Liulichang was a favorite haunt for scholars, painters and calligraphers gathered to write, compile and purchase books, as well as to paint and compose poetry, and by the Kangxi period (1661-1722), Liulichang had become one of the most flourishing cultural centers in all of Beijing. Large scale renovation in modern time have transformed this place into an antique market that resembles a Chinese village. 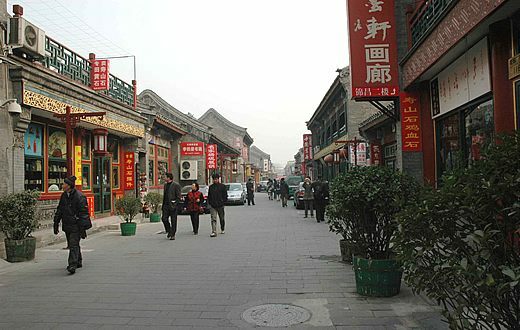 The many shops that located on the street are filled with a variety of Chinese folk arts such paintings, calligraphy, pottery, carpets, vases, books, scrolls and chops. It is a popular destination for tourists (mainly foreign tourists) to Beijing who wish to experience the commercial aspect of popular Chinese folk artwork in Beijing without the bustling traffic. 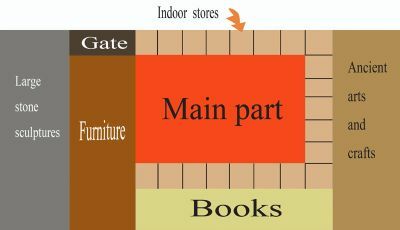 Beijing Curio City is the largest curio distribution center in Asia. The curio city covers an area of about 23,400 square meters (5.8 acres). There are about 500 stores dealing with ancient porcelain, paintings, calligraphy, jade, carving, bronze ware, antique furniture, carpet, clocks and jewelry. 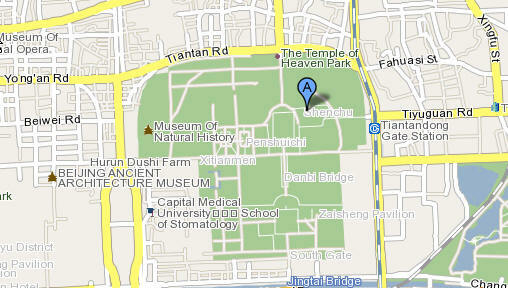 The curio city is like a big museum, and you can just wander around to get more knowledge about Chinese culture. Your eyes will be dazzled by these ancient art treasures. 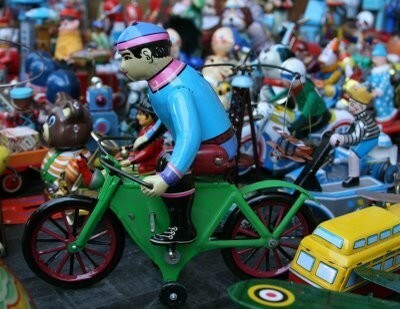 Every year the curio city holds several regular exhibitions to show the curios and art treasures. There are also many exhibition fairs, auctions, as well as lectures on curio knowledge. The Folk Culture Festival in January, Auction Week in May and Exhibition Fair in October are the most popular activities amongst them. They attract thousands of visitors coming here to choose their favorite curios. 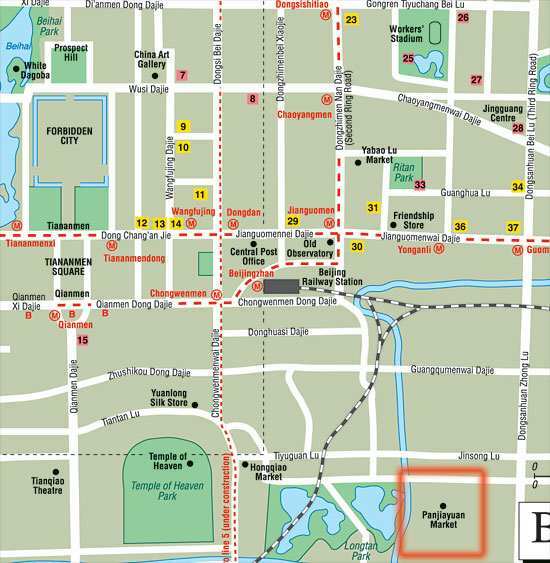 The Beijing Curio City is well organized with a series of supporting facilities. There are some experts in the market, offering professional services and giving special instructions to the curio lovers. Hongqiao Curio Market is located on the third floor of Hongqiao Emporium. Most of the curios sold here are cheap imitations. Liangma Collection Market was opened in 1992, occupying an area of 5,000 square meters (1.2 acres). There are about 200 stores engaged in selling porcelain, jade, ancient clocks, cameras, paintings, carpets and antique furniture. Before you go antiquing, learn more about the antiques is a better way. You'll find plenty of information to learn how to research your antiques and collectibles and to help you identify, value, insure and price your items to sell. Use the library to do research and check out references. Online guides can be helpful as well. Become friends with the owner of a local antiques shop. They are often a wealth of information and happy to help.